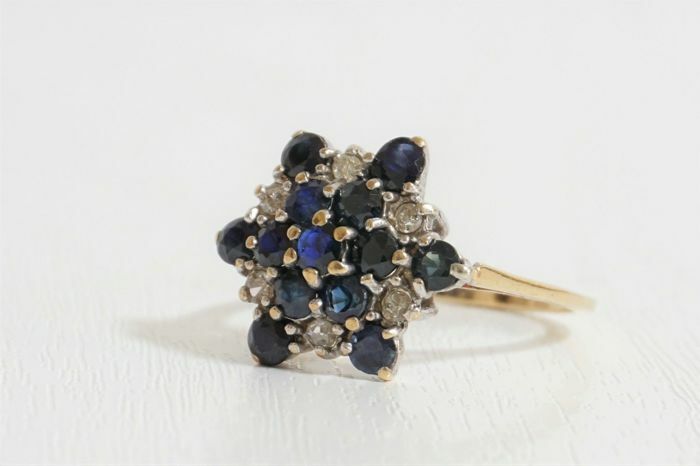 9ct Gold Ring Set with 1.5ct of Sapphire & 0.3ct of Diamond, London 1978. 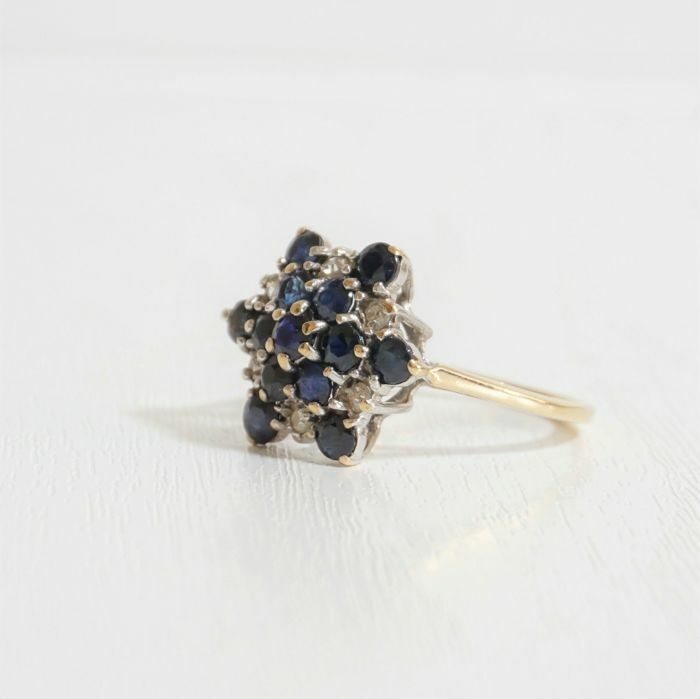 A beautifully crafted 9 carat yellow gold diamond & sapphire cluster ring. 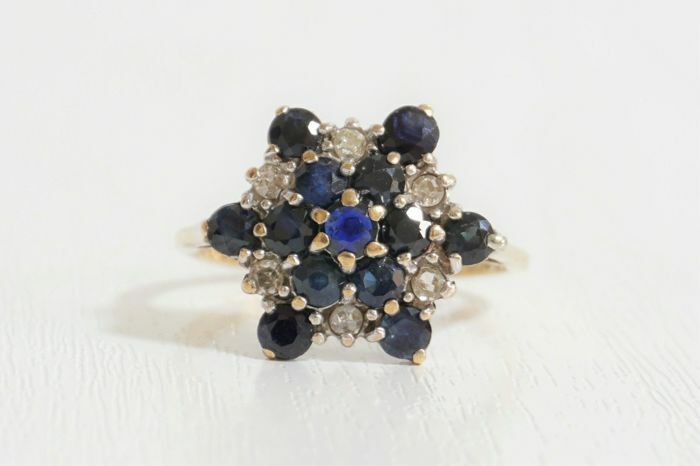 Set with six 2mm natural diamonds, six 3mm sapphires & seven 2.25mm sapphires set in a platinum mount. 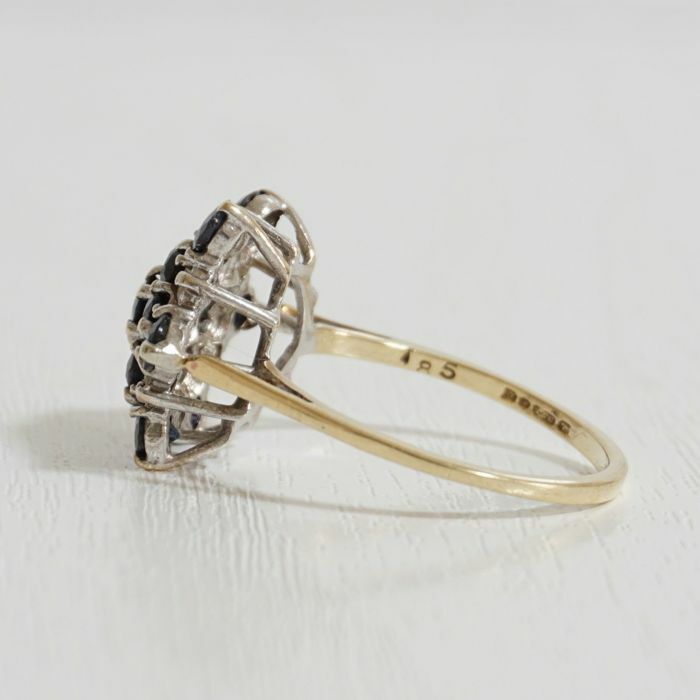 Ring Size N 1/2. 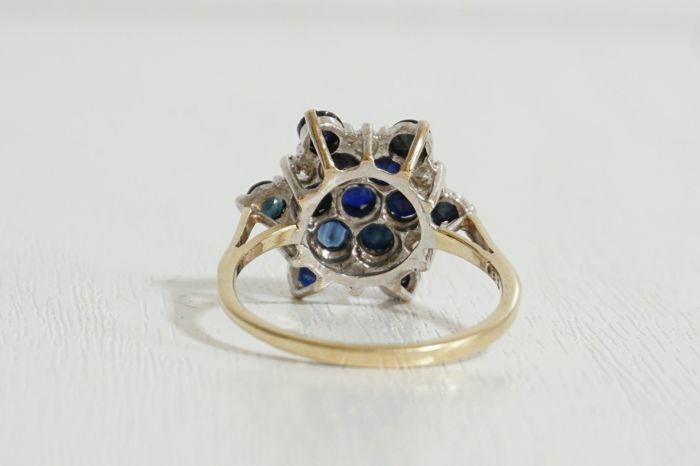 The platinum gemstone mount (Ring top) is 15mm in diameter. The diamonds are natural & have been tested.